6-1-113.5. Private cause of action - elements – legislative declaration. (d) THE CHALLENGED PRACTICE CAUSED THE PLAINTIFF'S INJURY. (2) THE GENERAL ASSEMBLY DECLARES THAT ITS PURPOSE IN CREATING THIS SECTION IS TO ELIMINATE THE REQUIREMENT, ARTICULATED BY THE COLORADO SUPREME COURT IN HALL V. WALTER, 969 P.2D 224 (1998), THAT, TO PROVE A PRIVATE CAUSE OF ACTION UNDER THIS ARTICLE, A PLAINTIFF MUST ESTABLISH THAT A DEFENDANT'S CHALLENGED PRACTICE SIGNIFICANTLY IMPACTS THE PUBLIC AS ACTUAL OR POTENTIAL CONSUMERS OF THE DEFENDANT'S GOODS, SERVICES, OR PROPERTY. It is doubtful how this bill would increase consumer protection or further deter unscrupulous vendors from conducting deceptive trade practices. Awards of treble damages and attorney fees have long been a feature of the CCPA. As discussed in our prior blog entry on this topic, the requirement for a plaintiff to show a significant public impact was a long established part of the CCPA and case law, which differentiates a CCPA cause of action from other available causes of action such as misrepresentation or simply breach of contract. If it becomes law, SB 11-068 may turn far more ordinary disputes with a business regarding goods, services, or property into CCPA actions. On February 22, SB 11-068 passed out of the Senate. On February 25th, the bill was introduced into the House, where it was assigned to the State, Veterans, and Military Affairs Committee. 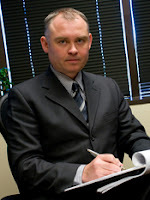 For additional information regarding construction litigation in Colorado, visit http://www.hhmrlaw.com/, or contact Bret Cogdill at (303) 653-0046 or by e-mail at cogdill@hhmrlaw.com. More senate bills are even pending. They need to have a review of important ruling.